Nails tell a lot about a persons lifestyle. Strong and healthy nails serve as the perfect representative of the overall health and wellness of a person. Unfortunately in today’s life it gets almost impossible to maintain healthy nails. 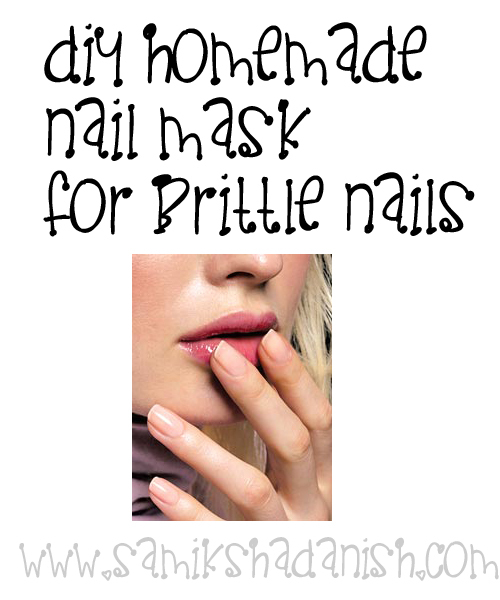 Here is a homemade nail mask for brittle nails that really works. -Heat olive oil (warm to touch). -Add some drops of lemon juice. -Soak hands and nails for ten minutes. -Put on gloves after the hot oil treatment and leave them for 20 minutes or overnight for best results.